It is roughly estimated that over 1300 practitioners in traditional medicine treat patients in the North Central Province. According to a research by the Centre for Complementary and Alternative Medicine of the Medical Faculty of the Rajarata University that a significant portion of the community in the North Central Province depends on traditional medicine practitioners. "So far there has been no survey done on the number of practitioners other than the ones registered with the Ministry of Indigenous Medicine. And there could be a huge number of Traditional Medicine practitioners in the entire island," said Dr. Senaka Pilapitiya, Director of the Centre for Complementary and Alternative Medicine. The Centre which was started to conduct research and to popularise traditional medicine, has commenced several projects especially in collaboration with the Ministry of Indigenous Medicine. "The most positive aspect is that the present network of Ayurvedic and Traditional Medicine practitioners can be utilised to promote community health with a few necessary alterations," Dr. Pilapitiya added. 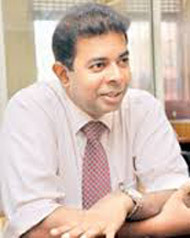 For this, a comprehensive survey must be done and explore all the potentials, said Dr. Pilapitiya. As an initial step the Centre has started an Ayurvedic Paediatric clinic, jointly with several ayurvedic practitioners while giving researchers and medical students a chance to do clinical research. Considering the philosophy behind Ayurveda it is quite clear that its concepts could give a very positive support to the National Health system, as Dr. Pilapitiya explained. Yet the problem remains with opinion of the professionals from both sides. "Ayurvedic treatment is time tested and there is no doubt about it but many Traditional Medicine Practitioners assume that there is no need to go for scientific inquiry. When we try to go for an integrated medicinal approach these aspects contribute to labelling Ayurveda and other traditional medicine to be more unscientific. This is what is contradicting with the modern science. Ayurvedic treatments are time tested. Many of those who practice traditional medicine stick to this norm. Sometimes this concept will not be accepted 100% by many. Sometimes in certain parts of the country traditional medicine could be the only medical system available. So we have to understand all these aspects in order to bring in a better community health system for the people," he added. "The way to certify the effectiveness of a medical system is to analyse the way the system has developed. Now in Ayurveda it has developed in a very logical way over hundreds of years. Even it explains why we need a medical system. That's at the start," he added. Ayurveda has developed with philosophy. It first discusses the purpose of life. According to this philosophy there are four purposes of life for anyone - i.e. Dharma, Artha, Kama and Moksha. Dharma is living a righteous life where you don't indulge in wrong doings. Artha means collecting worldly belongings, do a job for an income. Kama is living with all the pleasures in life fulfilling our five sensors. And Moksha is salvation. So irrespective of religion and believes people expect Moksha in there lives. So everyone in the society have these factors in different proportions. Ayurveda explains that this is the main purpose of life and discusses main obstacles to achieve this. And in Ayurveda it is explained that disease is the main obstacle. "So disease is the main obstacle to achieve the purpose of life. It is mentioned in the Ayurvedic textbooks that it was a gathering of 'Rishis' who came up with a medical system as a solution which became Ayurveda. From the very beginning Ayurveda developed in a very scientific way. When we go to the fundamentals of Ayurveda they mention a scientific approach. And they talk about sub atomic particles," he explained. Going deep into the Ayurvedic philosophy it is mentioned that in order to eliminate obstacles to obtaining the purposes of life as mentioned above Ayurveda talks about three elements in treating - i.e. Dirghayu, hithayu and sukhayu. Dirghayu is longevity, sukhayu is quality of life and in allopathy these two factors. We talk about extending life time and improve quality of life. The third factor Sukhayu is what makes the difference. This means peaceful coexistence with nature and the society and contributing to uplift dirghayu and hithayu. Which means that the person whom an ayurvedic practitioner restore his treatments must live to uplift the longevity and quality of life while having a healthy living bonds with the nature and society. This ensures people become more community friendly and environment friendly. This creates a positive type of a person to society. There are psychological aspects that is considered in allopathy but not to the extend ayurveda considers in creating a good person. Considering Modern Health concepts it is based on the The World Health Organisation definition of health. And Ayurveda has a similar approach. "Though Ayurveda has a positive approach to community health today it is widely practised in Ayurveda and oil massages. This has to go beyond this and try clinical treatments. This is what happened in Traditional Chinese Medicine. With a massive support from the Chinese Government there were a lot of research on Traditional Chinese Medicine and today it plays a leading role in world health. With an advanced system like Ayurveda what we have to do is to do research and prove its suitability for an integrated medical approach," he added.As Dr. Pilapitiya further explained these scientific proofs are necessary as an integrated medical approach gets numerous cross reference points. "To a developing country like ours an integrated approach can be highly beneficial as we are using resources that we already have," he added. Development in Ayurveda can bring up health tourism as well. "Today when we say Ayurveda it is mostly 'panchakarma' and tourism," Dr. Pilapitiya said. Yet if we try to develop the clinical practices - i.e. treating major illnesses - we could be greatly benefited through health tourism, he added. "Ayurveda has high capabilities in treating ailments like chronic heart conditions, chronic fatigue problem, Muscular clinical diseases and even successful pain management," he explained. Thus, Ayurveda and traditional medicine going beyond spas and panchakarma treatments can bring in immense benefits to health systems - both local and international.